Clinic Synopsis: When slow repertoire ‘fits’ the ensemble, it provides opportunities for immediate aesthetic experiences. At other times, slow repertoire amplifies all of the problems within our ensemble. This session will discuss repertoire selection criteria for instrumental ensembles of all levels; then, using a lab band, demonstrate remediation strategies for common performance problems and interpretive choices that lead to artistic results. Clinician Biographical Information Dr. Colleen Richardson is the Coordinator of Bands and directs the Wind Ensemble at Western University in London, Ontario, the second largest music program in Canada. She teaches undergraduate music education classes, graduate courses in conducting and wind literature, and co-supervises the Western Young Winds program, which is a community outreach band for students in grades six to nine taught by undergraduate music education majors. Under her direction, the Western University Wind Ensemble has produced two CDs, Apparitions (Albany Records, 2011) and Explorations (Mark Records, 2016). In 2018, she was awarded the Canadian Band Association’s “International Band Award” for her contribution to the international wind band movement. 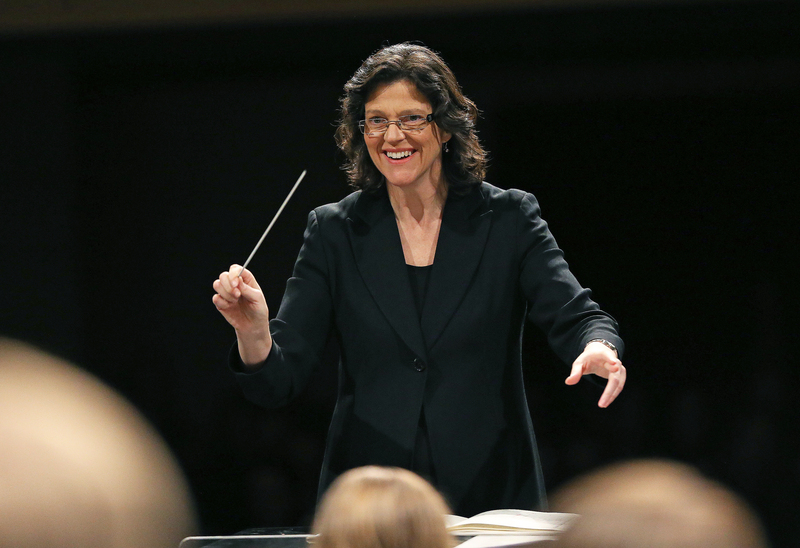 Besides being active as a clinician, adjudicator, and guest conductor nationally, Dr. Richardson has guest conducted or presented her research in Brazil, Ireland, The Netherlands, Switzerland, Italy, Taiwan, Indonesia, Japan, Wales, and the US. Her research focuses on wind literature, conducting pedagogy, and ensemble rehearsal techniques. Publications include articles for the Canadian Winds, and the Canadian Music Educator Journal, as well as eight study guides within the Teaching Music Through Performance in Band series. In 2012, Dr. Richardson produced and edited the Hunsberger DVD within GIA’s DVD set entitled Three Icons: Frank Battisti, Donald Hunsberger, and H. Robert Reynolds. A native of Winnipeg, Dr. Richardson graduated from Brandon University (BMus Ed), the University of Calgary (Wind Conducting Diploma, MMus Conducting), and the University of Cincinnati College-Conservatory of Music (DMA Wind Conducting). Prior to her graduate studies, she taught general, choral, and instrumental music in the Canadian school system for 14 years.